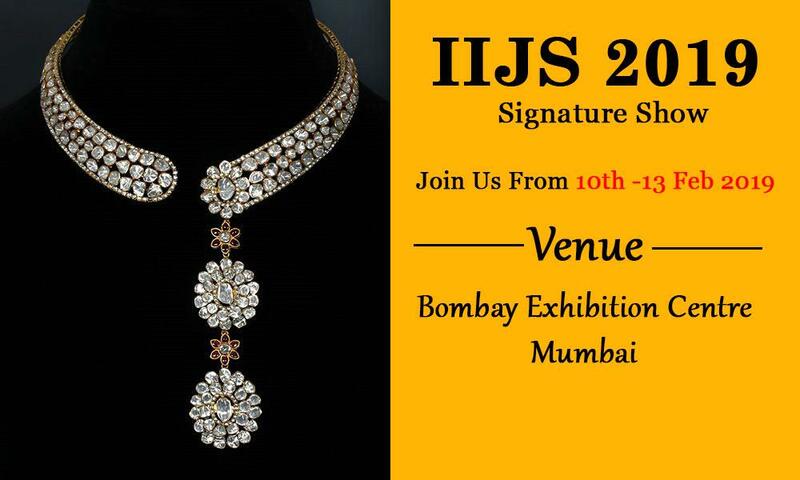 The lifestyle event IIJS Signature Show 2019 will be held from 10th to 13th of February 2019 at Bombay Exhibition Centre, Mumbai. Signature IIJS 2019 is one of the premium jewellery event happening from 10th - 13th February 2019. It is now well recognized as a platform for jewellery manufacturers and designers to present their vision for the coming year – the styles, designs and trends that are expected to dominate the market. Shree GK Chudiwalas has been a keen participant and is exhibiting this year as well. We welcome you all to explore the beauty of our traditional collection at our stall - STF101A, STF103A. For more information, you can reach us at 0141-2573867 or at gkchudiwalas@gmail.com.